Who would think that something could make you laugh so much before tearing you to pieces, making you want to do nothing but cry? Grief and laughter are something most can understand - but I don't know if I've ever seen any other movie capture both of these human emotions so simply perfectly. Life is full of confusion – and often time it feels that it shouldn't be so – that the confusion is caused by mere stupidity. It is wrong. It can never get better - you may learn to become numb. But that is all. It holds a power over us. One who grieves can not just decided to be happy. They can want it so bad – but how do you smile when the world feels like a dark hole sinking into nothingness while not even letting you have the peace to just be done? I loved this animation movie for so many reasons. A young genius boy (Hiro) – who really has so much to learn from people who could teach him nothing. His kind older brother, Tadashi. Hiro's life was ruined on the night when everything should have been great. His brother had helped him pursue meaning, showing him a better way to use his brain and gifts above the momentarily thrill of dangerous and illegal pursuits. The grief. It never could be better. His brother died. But life could go on. Tadashi had so much to give – his life was about saving others. He died to save another… who turned out to have evil intentions of his own. And Hiro's grief was rekindled in anger. Not only did Tadashi die – he died in vain. Destruction – it's all you feel in the time of grief. You soul is dying. Your smile is lightened only by the shadows of darkness. Everything that should be is not. Life is evil. Destruction is the direct result of what is not right – and thus you must exterminate the one that has caused your nightmare. But it's not quite so simple, Hiro discovers. Not only is he grieving for his brother… the one responsible is grieving loss, too. It's a cycle of tumbling consequences, pulling us all further and further into the dark hole of grief. No one can escape as each one keeps lashing out in anger, "I was wronged! Some one must pay - all is stupid. Who will die to heal my pain?" Loss and destruction are the masters of grief. No one can comfort you. No one can change the path of these horrid atrocities. Nothing can ever get better – only you can kill the evil. Hiro discovers the way to heal is to help those hurting, not demand more pain. The way to kill pain isn't to ignore it or to inflict more of it, but to heal. While you can not change the past, you can change the future. You can stop this nightmarish cycle - be the one to let anger die as you give healing. No, Tadashi never would live again. Hiro would never see his big brother again. Sure, he died trying to save a villain he thought was good. But his life was not lived in vain. Life is never stupid, no matter the death. Because Tadashi's ideas and dreams were able to continue on and live through Hiro and his friends. Healing is not about forgetting, but embracing the difference. "I am satisfied with your care." It's quite hard to learn to be satisfied in the presence of grief, whatever your grief may be. But it is possible. You may find healing – just remember the path isn't revenge, but love. Remember, we are all humans in pain. Let's stop the cycle - don't keep pressing into pain, but let love loose. 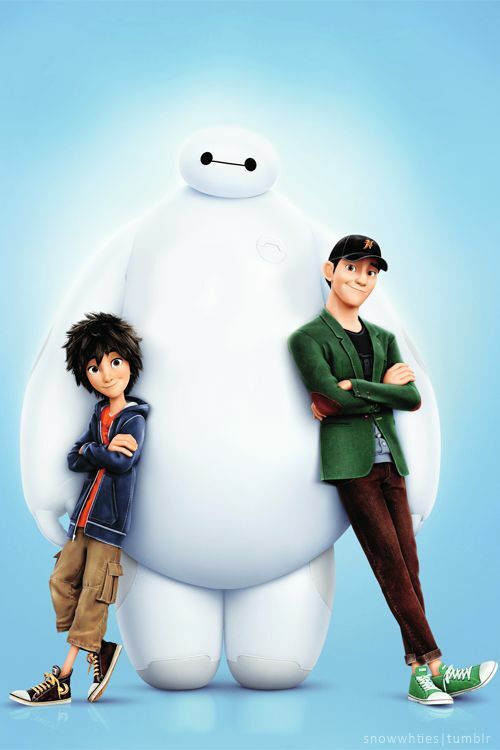 These are my thoughts from Big Hero 6 - what are yours? I love this movie so much. This is one of my favorites (after How To Train Your Dragon, of course.) Its so beautiful and amazing. I love it. I love Baymax. Fred is so funny. Its ironic his hero is a fire breathing lizard because the voice actor is one of the main characters for How To Train Your Dragon. I love it all. Such a good, funny movie. I still get upset that Tadashi dies. He was so full of life. I need to watch this now.. I've not seen this yet but this makes me want to read it! !